Yesterday, we did a mini makeover for my favorite client. I know I am not supposed to play favorites. If your read this blog religiously (as you should), you know I really do love all my clients. This particular client has been with me for years and has become a dear friend. 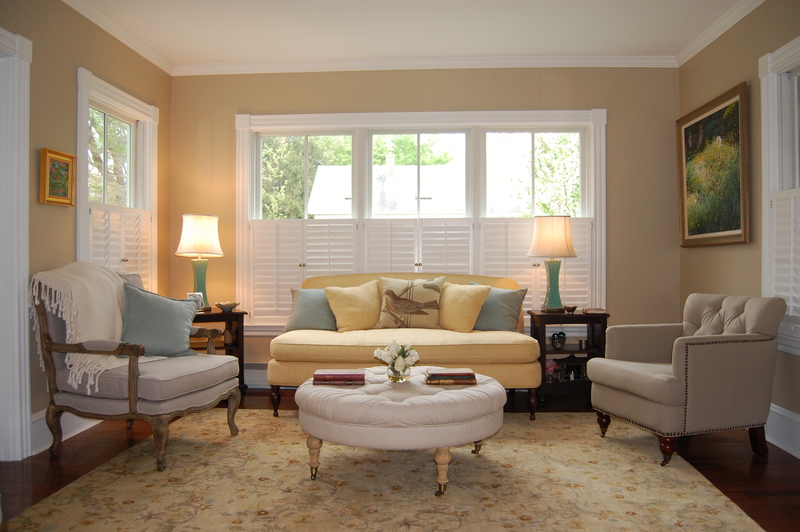 Our mission was to spruce things up and take some of the formality (or “old lady” look as she put it) out of the home. 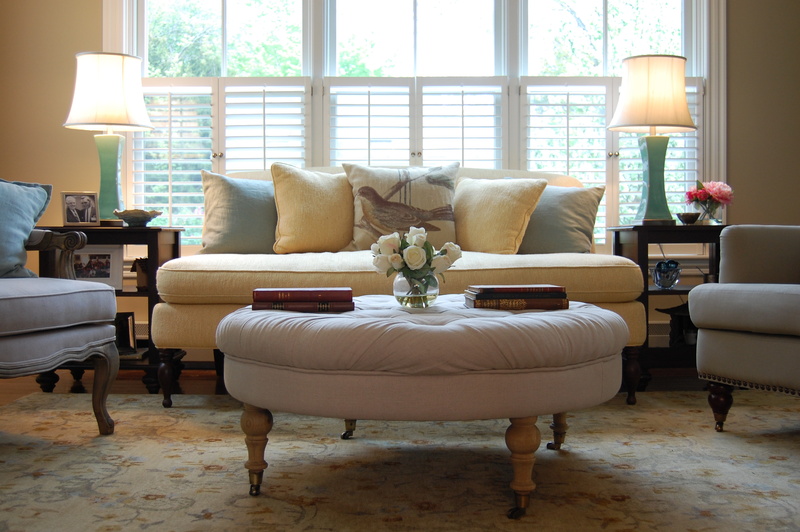 A fresh makeover that adds a coastal feel to the home, this was right up my alley! We had already purchased the new French linen chairs (see pricing below) for the space, and we replaced the original rug (which I never liked). 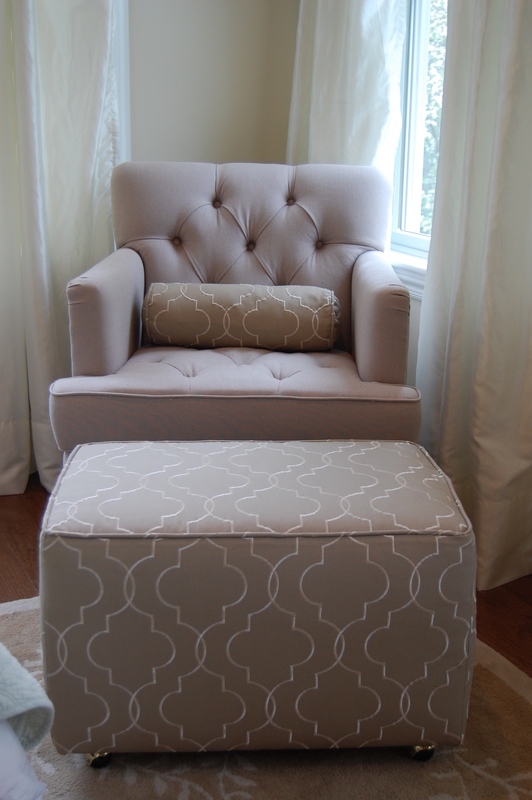 Yesterday, we added the little tufted linen chair (see pricing below), Pottery Barn pillows which we moved from her bedroom (free), lamps from the basement (free), and we removed the (“old lady”) window treatments! After: Still formal but less stuffy! 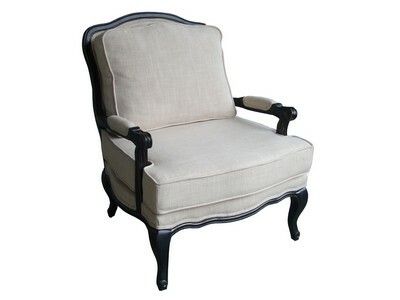 We added this cute little chair $500…great deal! I hope you are all having as much fun as I am! Do you have a room that needs a makeover? Feel free to send me photos with questions. Let me know your thoughts or questions by commenting, or liking the post! If you are not a part of the CBD club join by clicking the follow button!